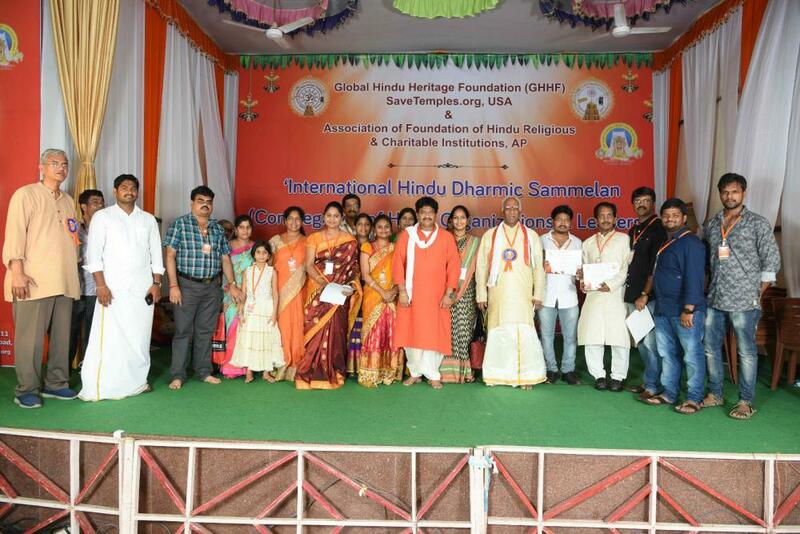 International Hindu Dharmic Sammelan held at Dwaraka Tirumala on June 24 & 25 was a Remarkable Success. 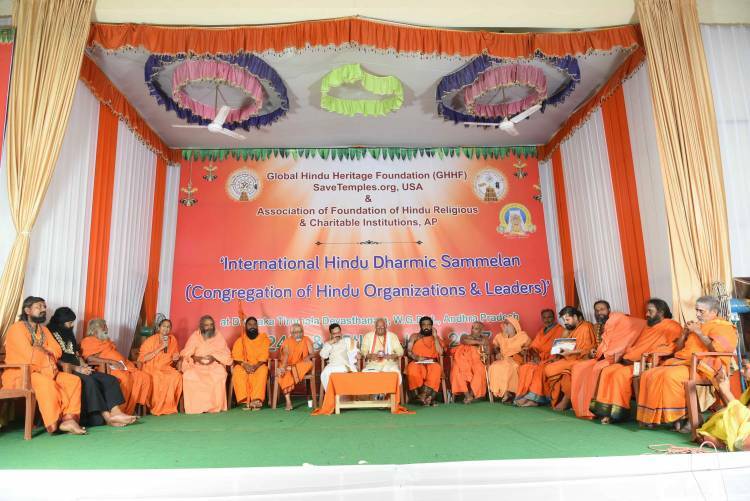 Global Hindu Heritage Foundation (GHHF)/ SaveTemples organization in collaboration with Association of Foundation of Hindu Religious & Charitable Institutions organized two-day Conference at Sri Venkateshwara Swami Vari Devasthanam, Dwaraka Tirumala, West Godavari District, Andhra Pradesh. 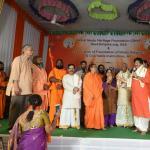 The program began with Gopuja by Swami Swaroopanandendra Swamy of Vishakhapatnam and Smt. 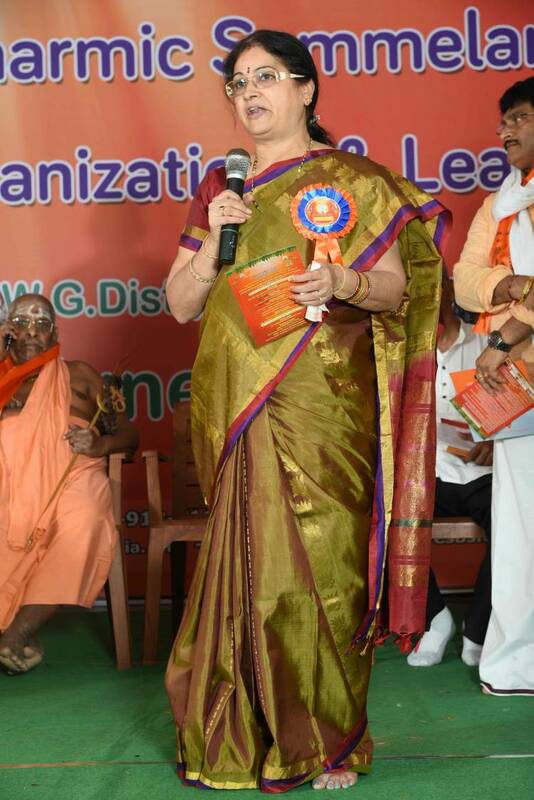 Y. V. Anuradha IAS, the Commission of Endowments. 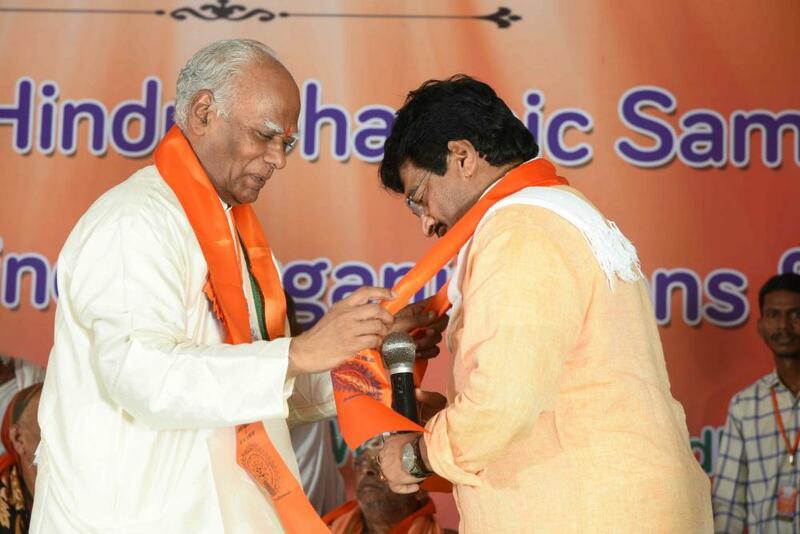 Then we proceeded to the Madhav Kalayanamantapam, the Venue for the occasion. 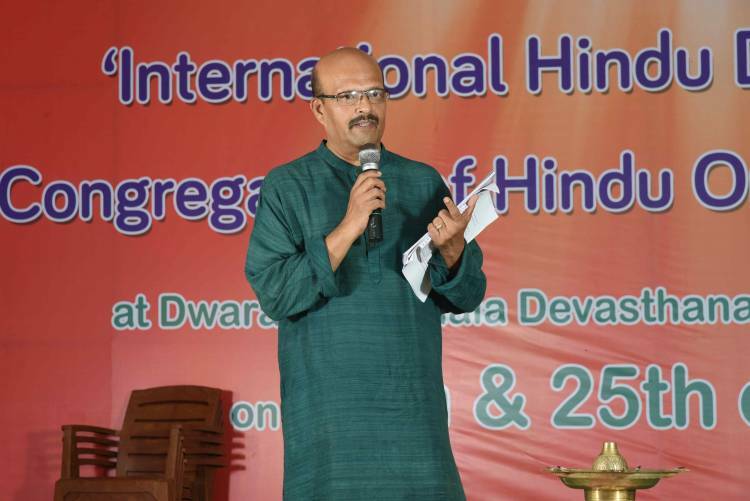 Dr. Ghazal Srinivas spoke about the importance of the conference and what GHHF wants to accomplish. 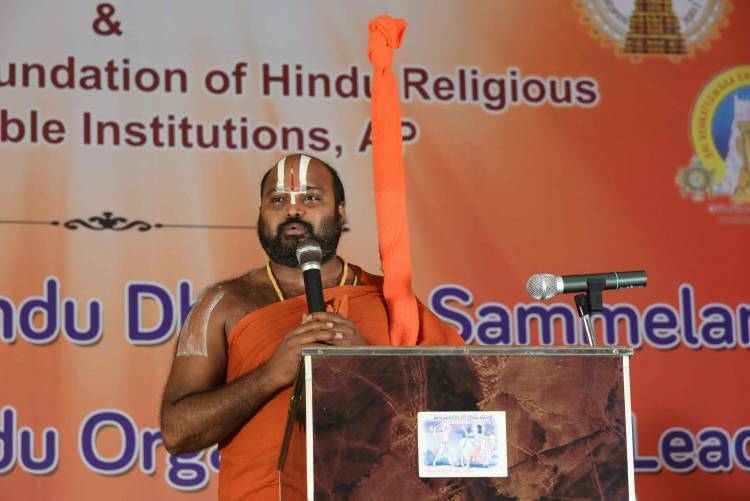 The mission of the Conference is to address numerous issues not only that are adversely affecting the Temples but the issues that would protect and improve the Hindu Temples. 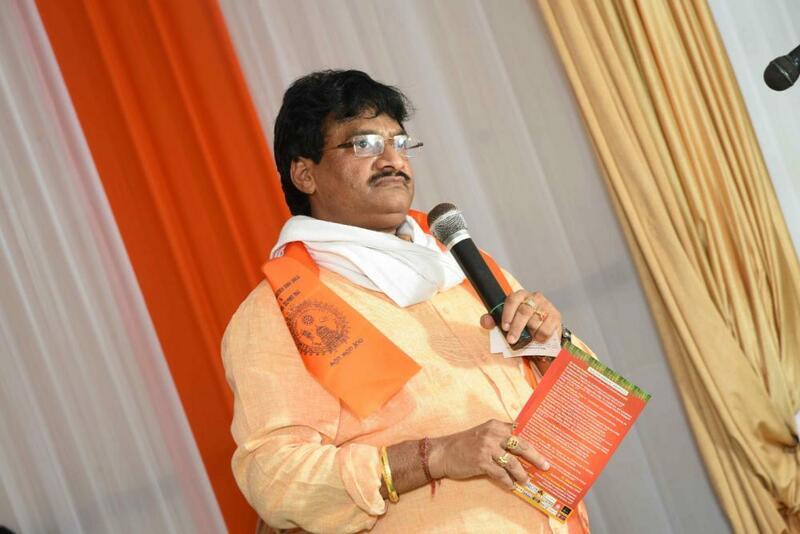 Following the Jyoti Prajmaline (Lighting the Lamp) Srinivas introduced all the participants, briefly explaining their background and accomplishments. It is difficult to imagine a Temple without the presence of a priest. 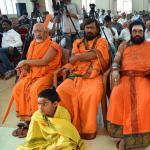 More than 600 people; 31 Peethadhipathis, Swamiji, Sanyasis, and Agoras; Endowment officials; several specialists; many pandits and scholars; numerous activists who are working on the ground; many news media professionals; and others attended and made the conference a remarkable success. 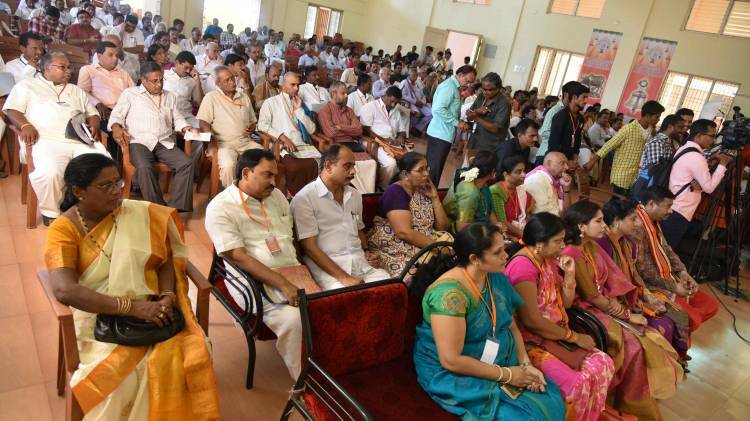 The delegates came from different states – Kerala, Tamil Nadu, Karnataka, West Bengal, Maharashtra, etc. 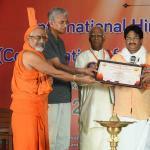 Sri Swami Swaroopanandendra Swamiji said that is the responsibility of every Hindu to protect Hindu Temples. The way we work hard to preserve the unity of our family and we take pains to protect from the intruders, we should have the zeal to preserve and protect the Hindu Temples. It is very important to preserve and restore the ancient Temples that are loaded with history, instead of building new Temples. Temples are the center of activities in the villages, custodians of our traditions, and safe vouch for our culture. Their preservation is the only way to guarantee bright future. 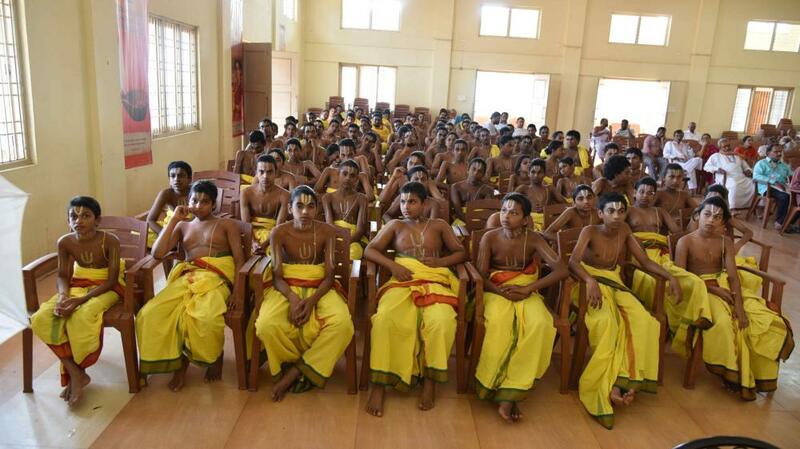 We should encourage all the schools to teach about the richness of Hindu culture. Priests are the heart and soul of the Temples and they should not be forced to retire like the way you do to other government employees. With dwindling number of priests, they should be given special privileges to remain in the Temples. Steps must be taken to make sure that children of the priests are recruited into the priesthood. Priests have a special bond with the Gods, they develop special bond toward them and they live for them. They cannot severe their relationship with Gods. 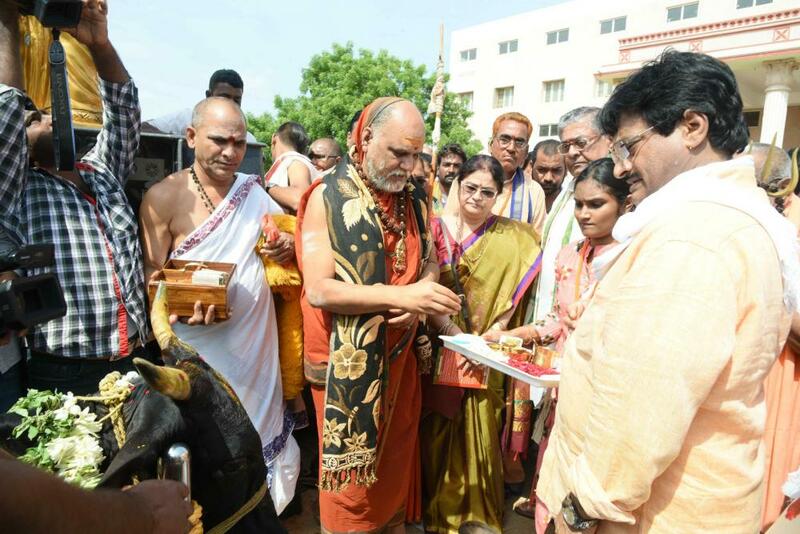 Sri Tridanda Ahobila Ramanuja Charyulu also spoke on the occasion about the significance of maintain the traditions and practicing the practices suitable for the Temples. 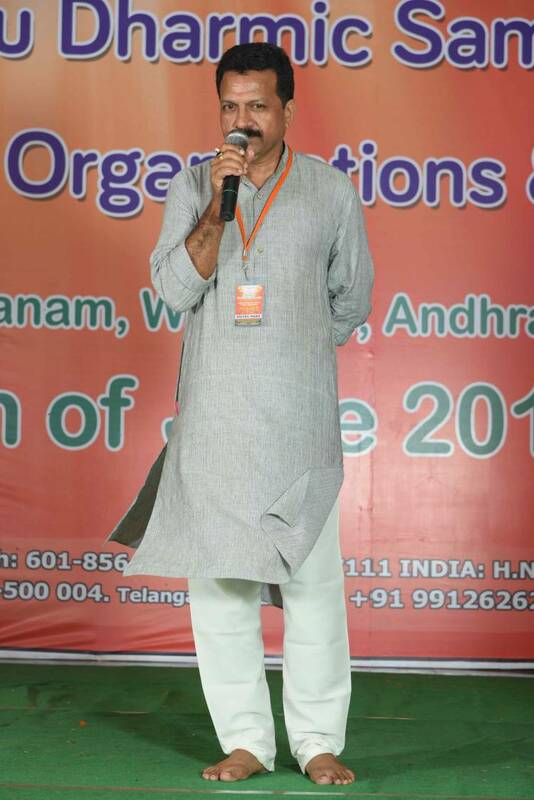 Sri M V R Sastry, editor of Andhra Bhumi, the only weapon we have at our disposal is the VOTE. 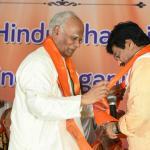 Hindus should recognize the power of vote and use at the time of elections to bring about the needed changes. No matter how powerful the governments may be, they must come to the voters every five years. 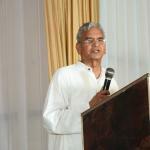 At that time, we must make Temples as the primary agenda for discussion. The politicians are playing the minority card by dividing the majority and uniting the minority in the elections and we should all be cognizant of that mindset. 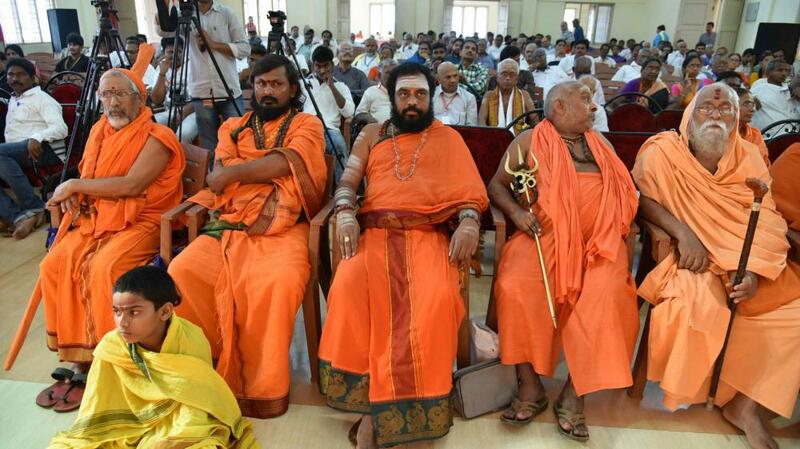 However, if the majority Hindus realize the impending danger for their survival and demand the governments as a united front to be impartial, the ruling parties would heed to the demands. 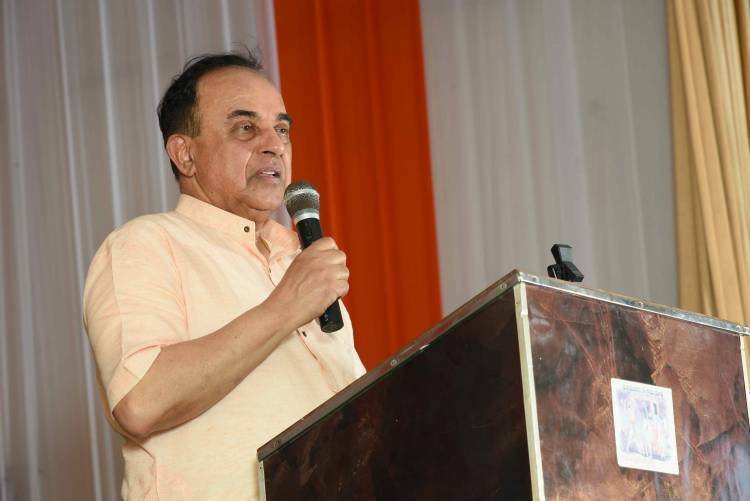 On June 25, Dr. Subramanian Swamy indicated that the changes are coming with the present government. He said still more changes are needed to free the Temples from the government. About 4 lakh Temples are under the government control. It is strange to see that the Temples in India with 80 percent Hindus are under government control. No mosques and churches are under government control. It is the disunity among Hindus that causing damage to the Temples. 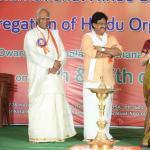 If Hindus are united, they can accomplish many things and revive Hindu Temples and Hinduism. He will work tirelessly to free the Temples from the government control and make them Dharmic centers of Sanatana Dharma. He indicated that in the next elections BJP should get even more seats to bring changes to erase the damage that was done during the Congress government to protect the Temple and Hindu dharma. 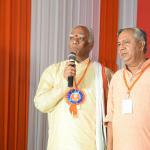 He emphasized the importance of building Sri Rama Temple in Ayodhya. He talked about the negotiations that took place with the Muslims. The time has come start the construction Rama Temple in the year 2018. 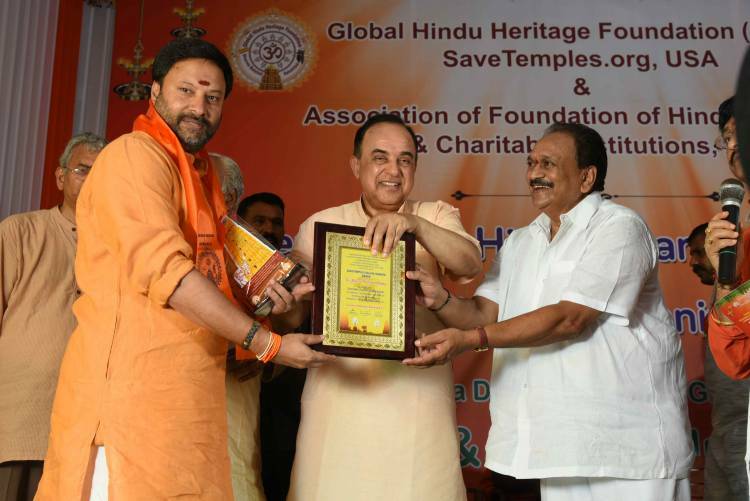 Talking about preserving the preservation of the Temple culture and ancient writings on the wall about their history, Dr Swamy mentioned about his conversation with the then Chairman of TTD Sri Adikesavula Naidu who wanted to cover the wall with so many inscriptions with gold. When he objected to the gold covering the Chairman said that they have digitalized all the inscriptions on the wall and they will be available in the museum. 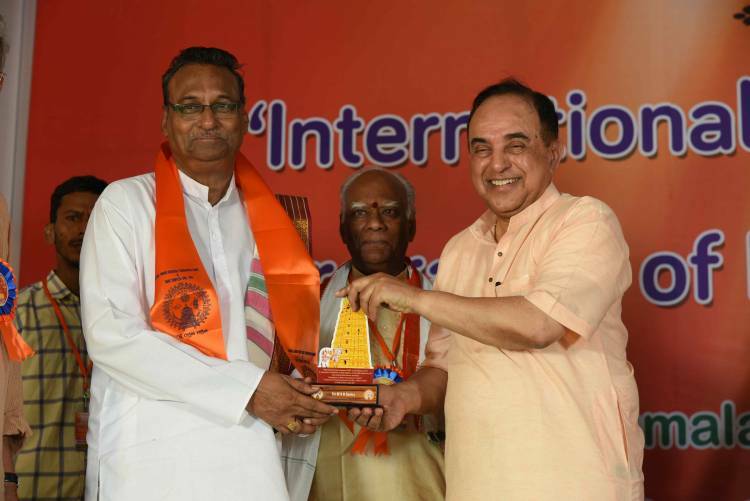 Then Dr. Swamy responded by saying that he can also digitalize the pujas and put them in museum so the people can watch the pujas. 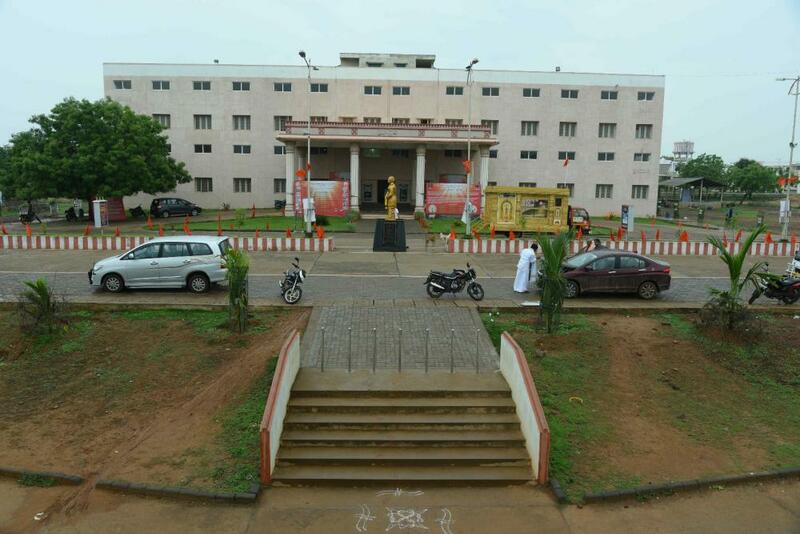 Then he went to Andhra Pradesh High Court and could stop the gold covering of the walls. 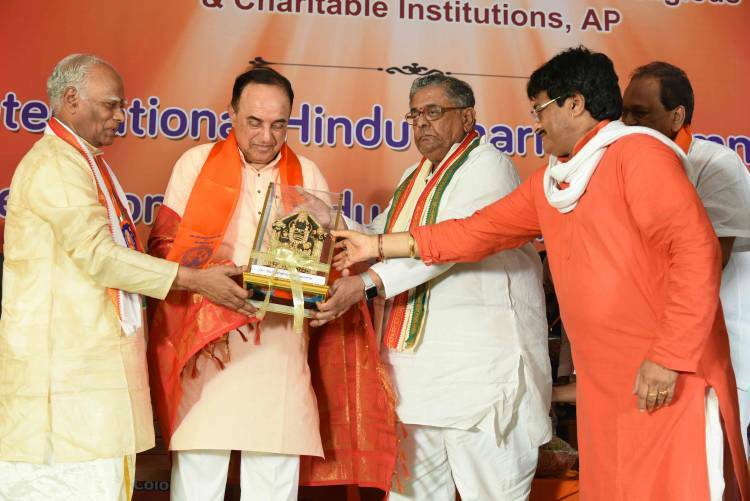 Dr. Swamy said that Muslims do not have any religious significance for the Mosques. It is merely a place of gathering. A mosque can be removed or even destroyed since there is no prescription to worship in a specified place. They can do Namaz at any given place; they need not to have a mosque for worship. In fact, Saudi Arabia demolished hundreds of mosques. Hence, there is no logic on the Muslims demand for the construction of Mosque on the site Lord Rama’s birth place. 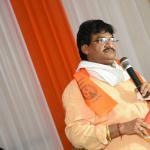 He said that more than 4000 Temples have been destroyed by the Muslims during their regimes. 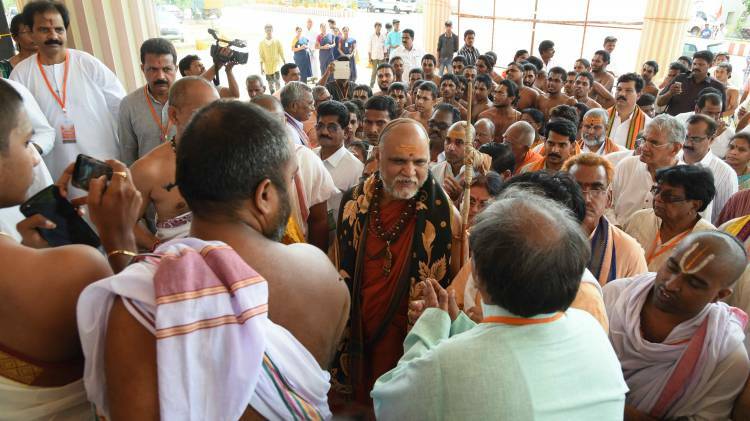 He said that Hindus will forgive their atrocities if they do not interfere with Mathura’s Krishna Janmasthala, Ajodhya’s Rama Temple construction and Kasi’s Viswanath Temple. If they fail to concede and keep interfering we may have to ask them handover all the Hindu Temples that were converted to mosques. “A Hand Book for Effective Management and Governance of Hindu Temples” written by Dr. R V V S Avadhanulu, Sri Kandukuri Veera Venkata Satyanarayana and Sri Kalanidhi Satyanarayana Murthy was released by Dr. Subramanian Swamy. 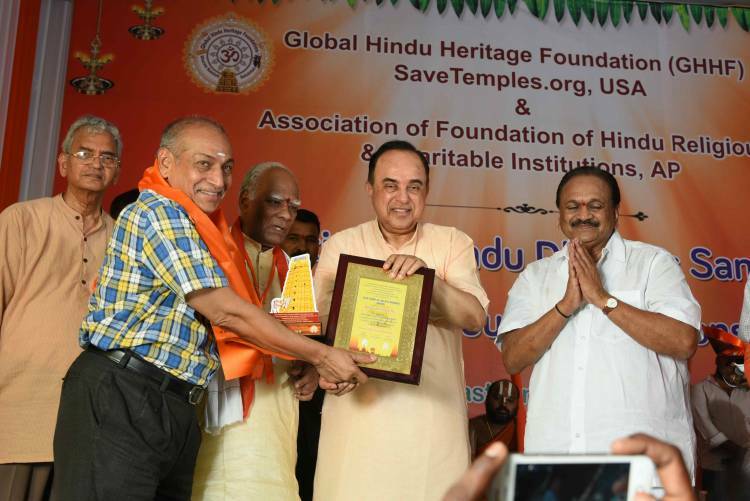 In December 2015, Dr. Swamy told us that we should concentrate on writing a book on the management of the Temples once they are released from the government by the Supreme Court. Dr. Avadhanulu Garu briefly outlined the topics in the book and talked about the provisions being incorporated in the book. 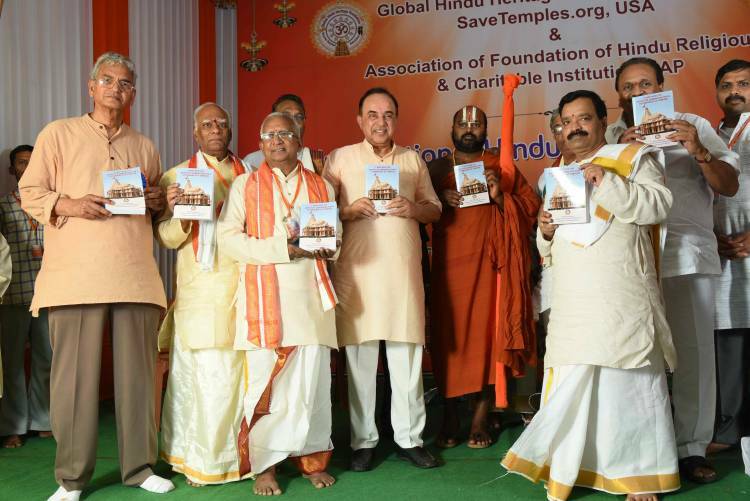 He emphasized that this is the first draft of the book that will be revised continually based on the recommendations from various individuals who are knowledgeable about the Temple management. Smt. 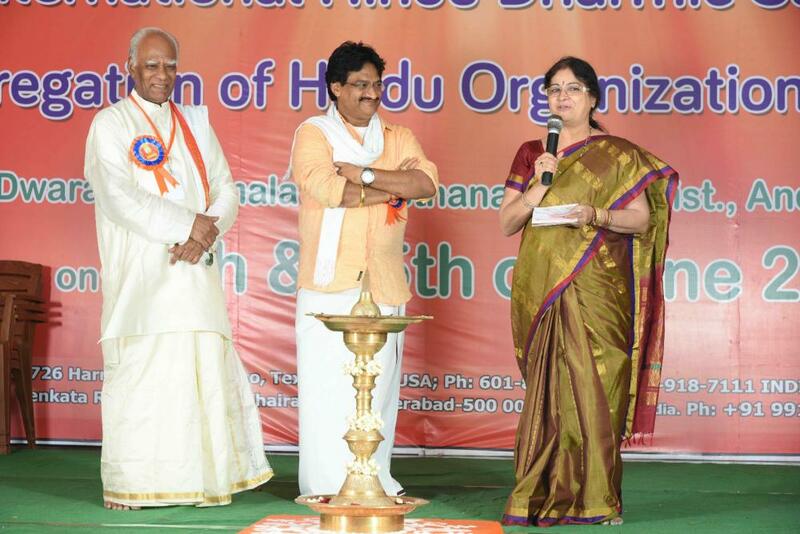 Y V Anuradha, IAS, the Endowment Commissioner and some of her staff member spent nearly 12 hours – from 9:00am to 8:30pm -- listening to the presentations on different dimensions of preserving, maintaining and protecting Hindu Temples. At the end of the first day program, she expressed her appreciation to GHHF and Ghazal for organizing such an informative conference bringing people from different states with diverse backgrounds. 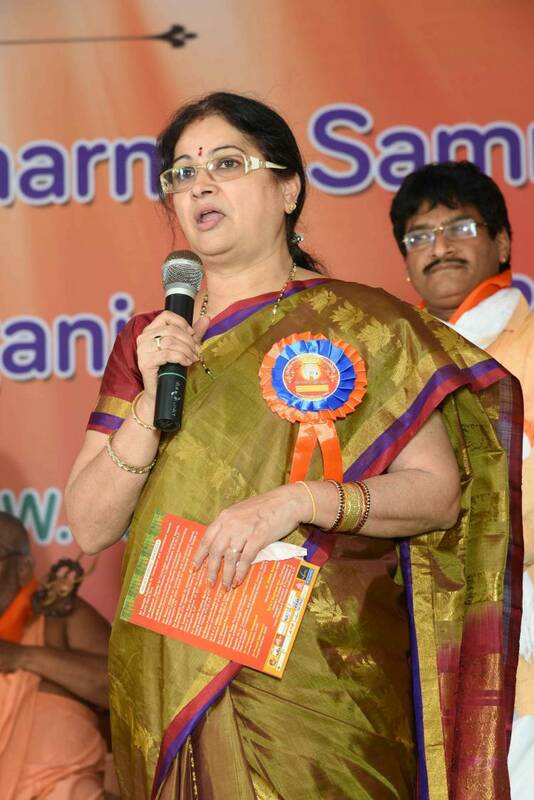 In her closing remarks, she highlighted the importance of 3D technology, use of solar energy in the Temples, Corporate responsibility to the charitable organizations, Agama Sastra requirements to conduct temple rituals, challenges faced in renovating the Temples and so on. She wanted us to provide all the contact numbers of these presenters for her department to follow up and see how they can utilize the information provided. 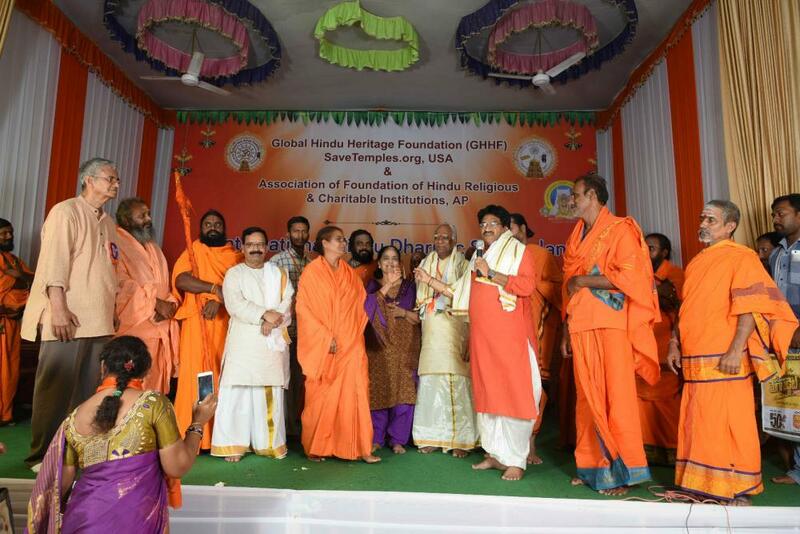 GHHF / SaveTemples has been recognizing the people who have done an exemplary work in promoting, preserving and renovating Hindu Temples over the last four years. 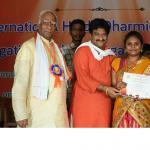 The following distinguished individuals were given “Aalaya Bandhu” awards. 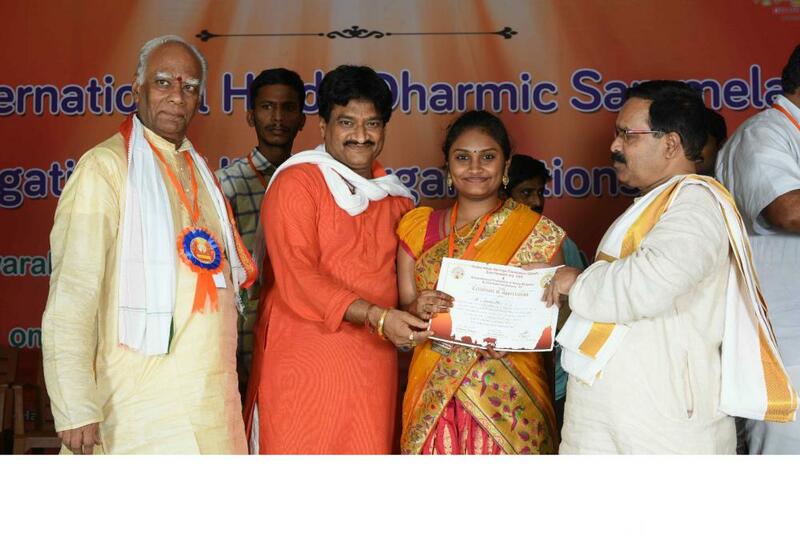 Sri Kanumuri Bapiraju for Contribution and Commitment towards Establishment of Veda Patashala in AiBhimavaram, W.G. Dt, A.P. Sri Cherukuwada Sri Ranganadha Rajufor Contribution and Commitment towards the Restoration of a 1000 year old Ancient Sivalayam Temple in Yendagandi Village, W.G.Dt., A.P. Sri Maturu Satish for Contribution and Commitment towards Restoration of 800 years ancient Sri Venugopal Swamy Temple at Vizianagaram, A.P. Sri Kapuganti Prakash for Contribution and Commitment towards Restoration of Sri Jagannadha Swamy Temple at Vizianagaram, A.P. 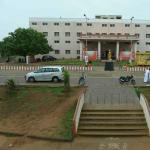 Sri Vudatha Kasi Viswanadh for Contribution and Commitment towards Restoration of Sri Jagannadha Swamy Temple at Vizianagaram, A.P. Sri Thatavarthi Krishna Murthy for Contribution and Commitment towards establishing Goshala at Sri Ksheera Rama Lingeswara Swamy Temple, Palakol, W.G.Dt, A.P. Sri Bhanu Prakash Reddy for Contribution and Commitment towards Restoration and renovation of Vakulamatha Temple, Chittoor Dist. Sri R V V Krishna Rao for Contribution and Commitment towards Restoration and renovation of Vakulamatha Temple, Chittoor Dist. 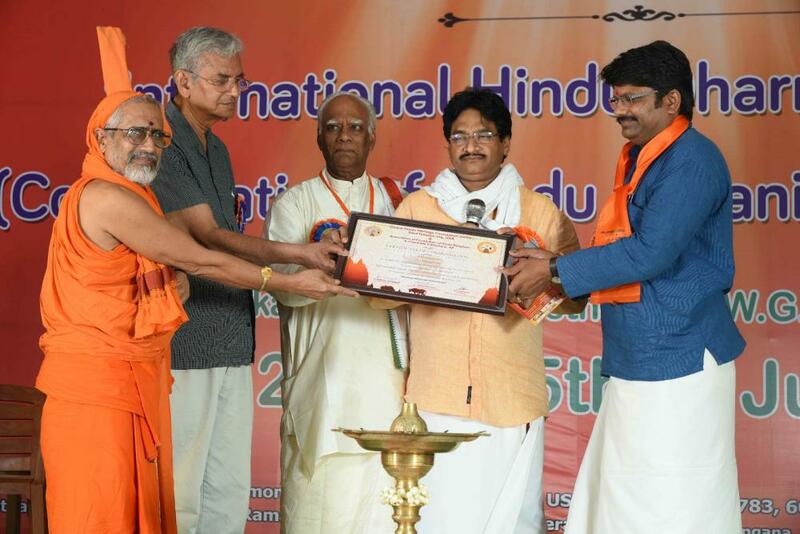 Bhakthi TV for Contribution and Commitment towards Sanatana Dharma through TV Channel and Organizing Devotional Program “Koti Deepothsavam”. Soon after coming back to Bangalore, the first thing I am doing is to write to you. What a dazzle, what a sparkle, it was all thorough and it was indeed amazing and no words to describe the energy that you have, charged in all of us. The whole journey looks like a dream and it was so exciting, informative, inspiring and invigorating. 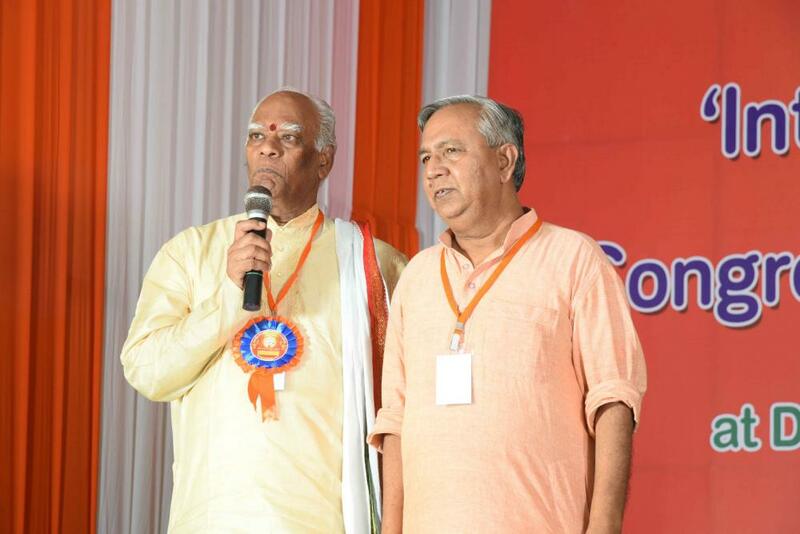 We could not have imagined that you would have packed it with so many such useful presentations, which would give a fresh impetus to the very revival, resurrection and rejuvenation of the old temples and more than all, give a new outlook to the entire scenario of resurrecting our heritage itself. The pains that you have taken to plan and execute in such a precise manner and drawing out the best of everyone. We do fully understand the combined efforts and coordinating it for the final execution for the day, would have been enormous, strenuous and painstaking follow up with the whole team. Congratulations and let God bless you with the same sort of energy, for you to take the mission forward to great heights. 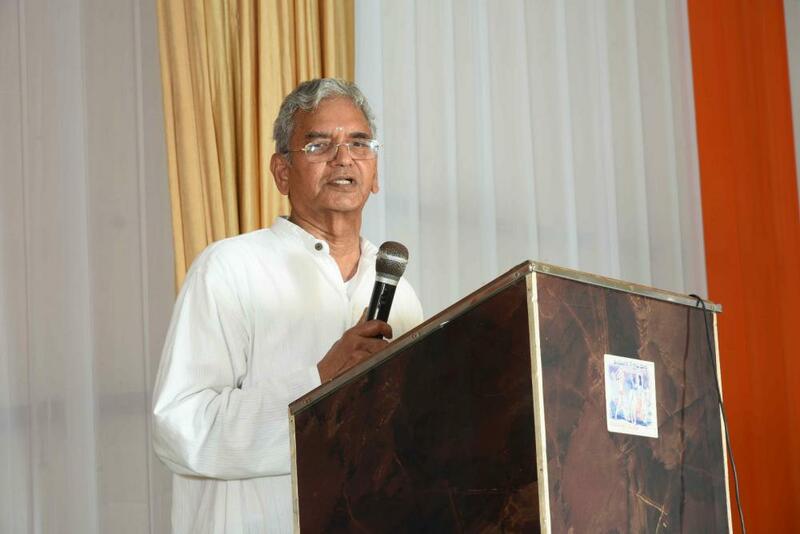 The greatest gift that you have bestowed is the group tying up to be together and a wonderful satsang of the Friends from Bangalore and am sure, that we would be a unit, for we did hit off very well. Please get over the after effects of such a grandiose programme that you had organized and later, we shall talk over the phone at your earliest convenience. 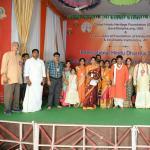 We at Nagarjuna Trust convey our thanks and happiness for letting us part of this great and blessed summit. 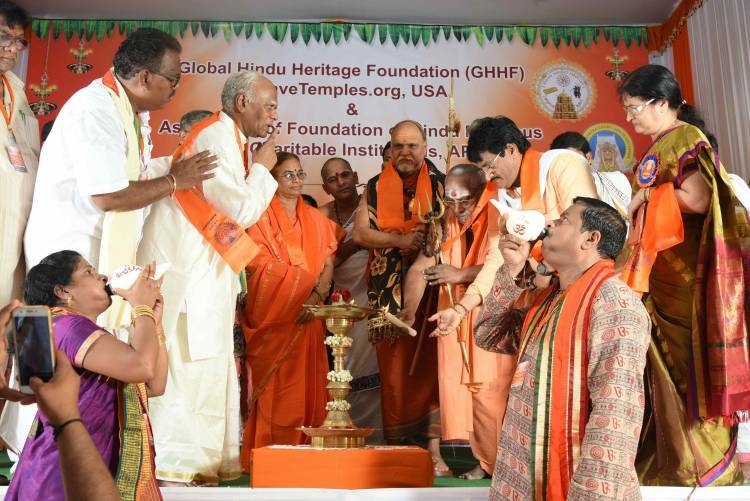 The event was wonderfully organized and we extend our thanks to GHHF and SaveTemples Org, particularly to Srinivas Ji and Prakash Rao ji for all the hospitality and sincerity in attending to all participants. Special thanks to Madhav and Pavan for attending to minute details with great patience. .………. Many organizations are working in isolation, but again, there is more competition than cooperation among them. To awaken the Hindu, much need to be done and this can be done only by a bigger task force with proper national level support. Cause is the effect concealed and Effect is the cause revealed, hence we are the cause and only we can find a solution for a way out. Creating awareness, bring issues in strongly in public domain and legally take anti Hindu forces head on. Activism needs team strength, finance and strong legal support all meticulously planned. From your vast experience, I request your valuable thoughts and advice. 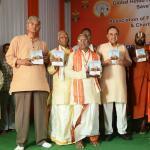 Many thanks once again and warm regards to all at GHHF & SaveTemples.Org. Wishing you all success for future endeavors.